‘Tis the season for a grillin’ good holiday! Unwrap and feast on the all-new Smokey BBQ burgers – juicy, flame-grilled beef or chicken with turkey bacon and onion rings, smothered in Smokey BBQ sauce. 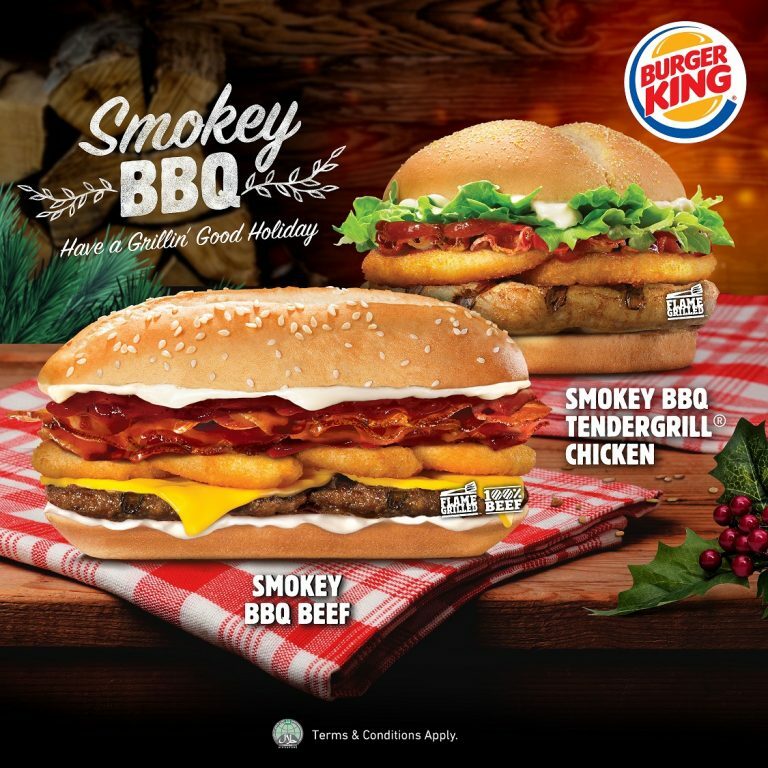 Try one today, only at Burger King (#B1-14/14A)!